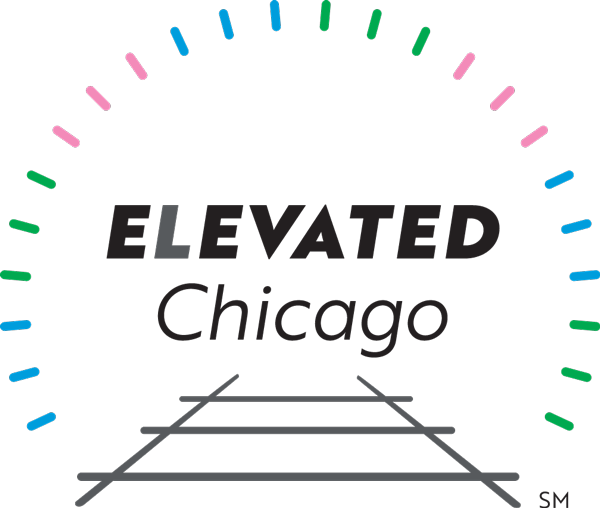 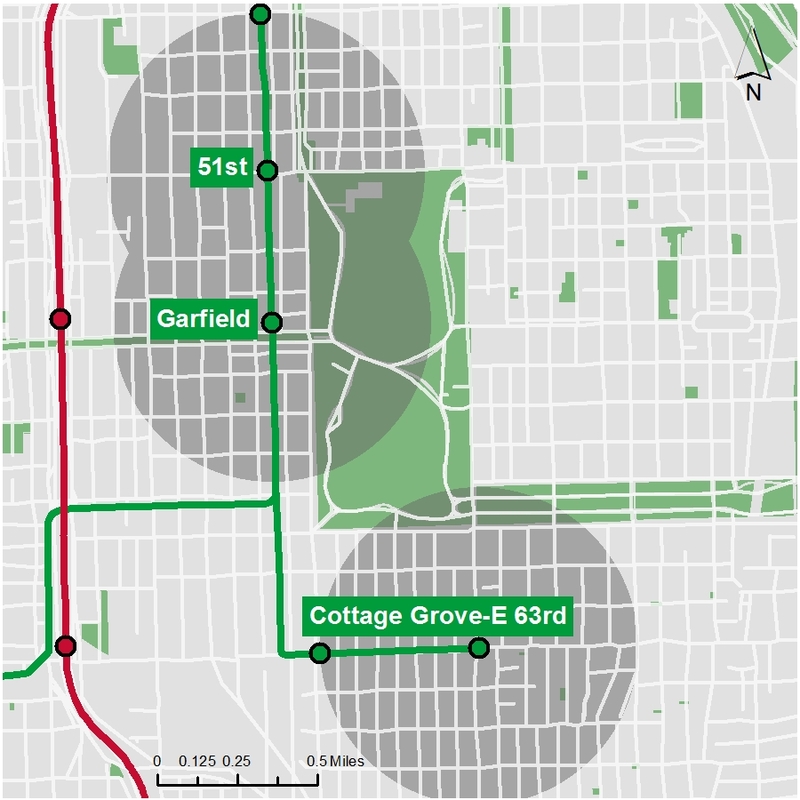 Green Line South is comprised of three eHubs: the 51st St, Garfield and Cottage Grove & 63rd CTA stations. 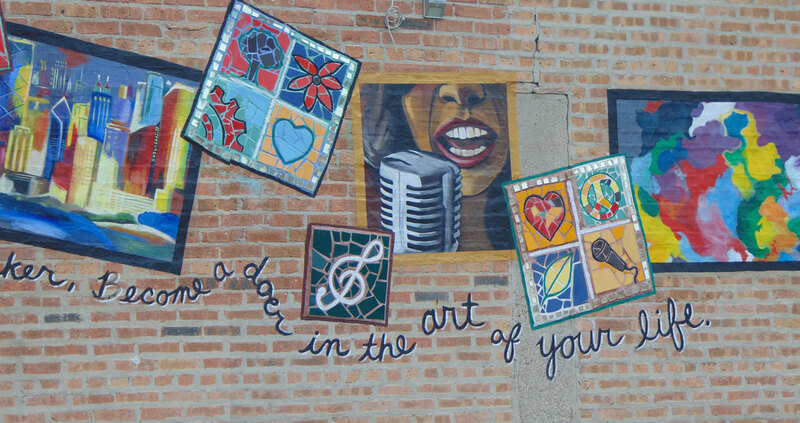 These locations include portions of the Bronzeville, Washington Park, and Woodlawn neighborhoods, predominately African American communities that have witnessed chronic disinvestment and vacancy, but also contain rich histories and numerous assets. 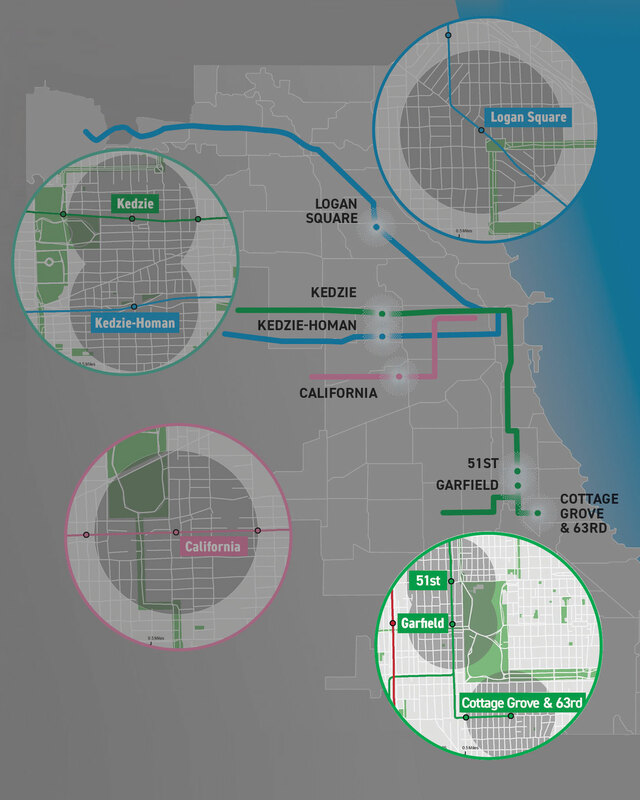 The Community Table here has attracted diverse organizations to articulate a vision for development without displacement using an EcoDistrict model. 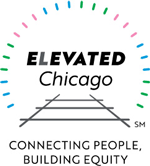  These include a dynamic group of artistic and cultural institutions, resident organizers, business incubators, and current and incoming anchor institutions like the University of Chicago and the Obama Presidential Library.